Air Energy is experienced in an extensive range of industrial applications, competitively supplying and installing the best materials for each application. Whether you require a stainless steel tube system, MaXair plastic pipework, or aluminium brands such as Unipipe, Air Energy is your best source of industrial piping systems, fittings and ancillary products. With Air Energy, you’re sure to find “best practice” solutions for your industrial-grade pipe systems requirements. Our technical department has the necessary experience to help you with everything from qualified advice that gets your system operating to optimal efficiency, through to recommending and providing the best turn-key solutions. Gone are the days of rusty metal pipes. The industry today demands clean pipes made from modern materials such as stainless steel tubes and fittings or new generation plastics, delivering product that is free from oxides and contamination. MaXair is the product of choice for most modern Compressed Air Installations – easy to install and easy to extend or alter. MaXair uses PE100, a product of advanced polymer technology which outperforms other pipes for pressure, flow, corrosion resistance and suitability for compressed air. Offered by Air Energy with a 50-year warranty, you can expect a MaXair pipework system to offer long life service with minimal maintenance. As the original proprietor and distributor of MaXair, you can get the benefit of Air Energy’s experience for your specific needs. Europress is the new way to install 316L SS pipe work using stainless press fittings, much faster than traditional tig welding and requiring no naked flames, hot work permits, or gas bottles. Europress pipes have the added feature of Press Check Sleeves for added integrity of installation. We stock all your essential Europress stainless steel tube press fittings, from unions and adaptors to male and female connectors, caps, and more. To make your project successful, use the expertise and superior products that Air Energy use every day. 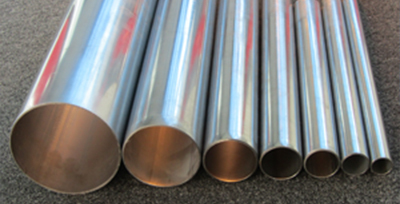 Aluminium pipes are arguably the best pipes for heavy-duty compressed air systems. Aluminium powder coated blue pipework is light and strong and gives a highly impressive finished installation. The aluminium tube and fittings are designed for a fast and secure, visually pleasing installation. 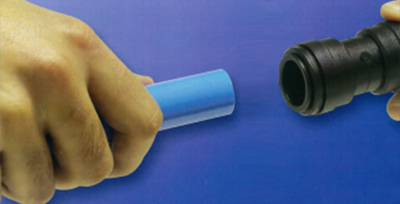 These aluminium tubes are also coated internally with polymer corrosion protection for improved performance. 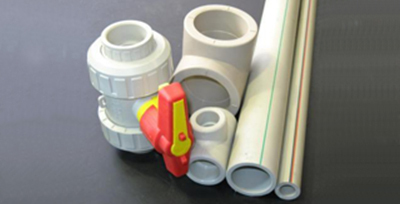 We carry the brands Unipipe, AIRnet, Vastair, Transair and more. Let us know your industrial pipe requirements, and we can help you determine the best pipes and fittings for your system. 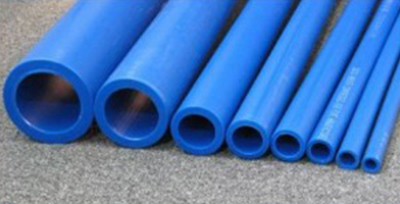 PP Polypropylene has a number of special chemical resistant properties that make it the product of choice for many chemical and higher temperature applications. Made with food-grade materials, it is suitable for plants and laboratories that handle food and beverage, dairy products and hot and cold water. A PP system has a pressure rating of 2000 kpa at 35ºC and temperature rating of up to 95ºC. We can supply PP in either PN10 or PN20. Air Energy boasts a team of industry-leading consultants. Our tech department can help you make the best selection. 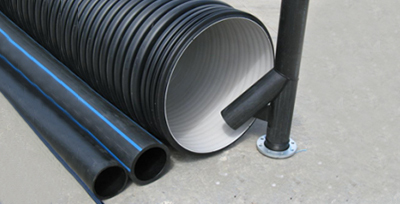 An industrial pipe system made of nylon pipes is safe, leak-proof and easy to alter or extend. With our semi-rigid nylon pipe in our John Guest Super Speedfit range, you can reduce installation time by at least 50%. Connected with push-in joiners, it is the fastest way to install workstations or machinery with higher capacity and less pressure drop and a professional functionality. Available in 15, 18 and 22 mm OD. For professional advice or technical assistance, our tech department can help you. PE, Polyethylene, Black Poly or Blue stripe; however it is known, is a very versatile and economic material of choice for many applications. It is preferred in the industrial, rural and irrigational sectors over galvanised iron, copper, cement and steel pipe systems for its flexibility and cost-effectiveness. 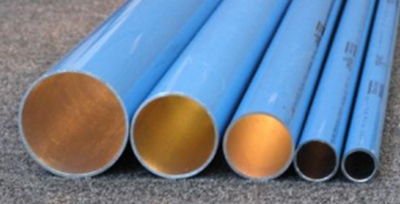 We can supply PE pipes in coils or straight lengths in various sizes. Air Energy are experienced suppliers, designers and fabricators for solving a wide range of customer requirements. For help with chemical compatibility, ask for the Technical Department at Air Energy by calling (03) 9765 5600. © 2015 Copyright Air Energy. All rights reserved.